Friends of our blog know for a long time that we always like to report on the miniatures to the cars of the Citroën brand. 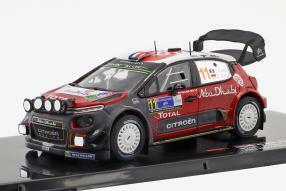 Today we have a very special occasion not only to talk about the modelcars, but also to send congratulations: Citroën on the final day of the 87th Monte Carlo Rally, the season opener of the FIA World Rally Championship WRC 2019, a truly historic result retracted. 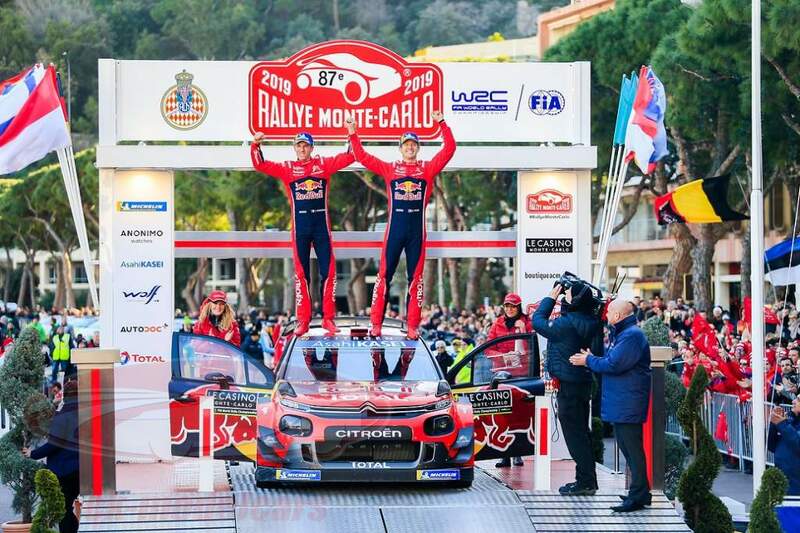 Sébastien Ogier narrowly won the rally classic, which exists since 1911, and at the same time the brand Citroën gave its 100th victory on the occasion of its 100th birthday in a race of the World Rally Championship. 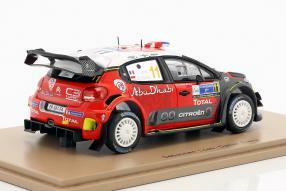 We think that's really great and we are happy to meet the brand again and again through our range of modelcars. In the year of its 100th anniversary, this is just the beginning. 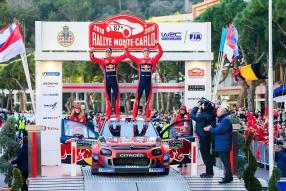 The historic decision in favor of Sébastien Ogier and Julien Ingrassia fell on the last of the 16 evaluation tests of this year's Monte Carlo Rally. In front of the Power Stage, the six-time World Champions as leaders of the overall standings had a lead of just 0.4 seconds. A cool head was needed more than ever, on the last 13.58 of the total of 324 kilometers. 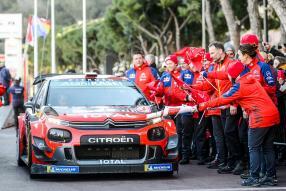 Especially since a problem with the gas pedal of the Citroën C3 WRC had already demanded the concentration of defending champions on the fourth and last day of Monte. 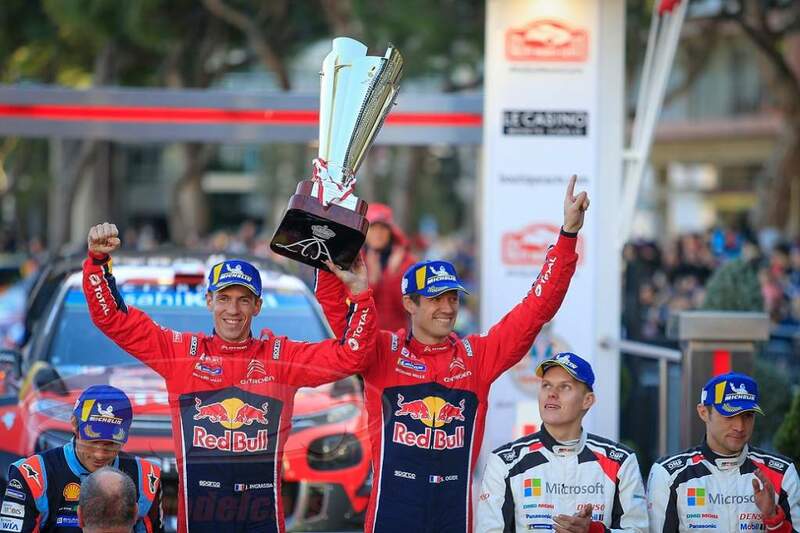 But Ogier and Ingrassia proved again their special class: With the second best time on the 16th evaluation test and a time advantage of 2.2 seconds at the end they brought the 100th race victory of Citroën in the World Rally Championship to the finish. 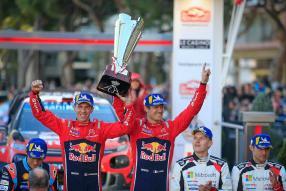 For Sébastien Ogier it was the sixth victory in his home rally in a row. And, also to mention, his seventh win at the "Monte" in total! Respect! And somehow reminiscent of Walter Röhrl and his successes: The tall racer won this popular rally four times. The key to this historic success of Sébastien Ogier was the intelligent strategy right from the beginning, with the conditions changing between snow, ice, wet and dry asphalt. After the two partly icy, partly dry night tests on Thursday, Ogier was second. On the second day, he drove for Citroën after seven years for the first time again, took over the overall lead from the seventh evaluation test and claimed it from then on - mainly because of the better tire choice compared to his competitors. Once again: Congratulations! 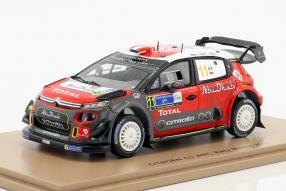 The Citroën C3 WRC is always a guest in our webshop. Ten modelcars in scale 1:43, from three different manufacturers in both materials - resine and diecast - are currently available in our shop: Spark already delivered the 2018 edition of the C3 WRC, as Sebastien Loeb and Daniel Elena on the 5th Rally Mexico 2018 place (S5962). Ixo brings the model to the same role model out of diecast (RAM671). Kris Meeke and Paul Nagle of the Citroën Total Abu Dhabi WRT team finished fourth in the C3 WRC in the Rally Monte Carlo in 2018, and Ixo has the model ready for it (RAM662). The embedded link below takes you to the overview. Such an overview we have to the driver pairing Sébastien Ogier and Julien Ingrassia also to the successes for Ford and Volkswagen. Sébastien Ogier: "The last test was stressful and difficult because of our little problem with the accelerator pedal, even when braking, our car accelerated even further, but thanks to the good advice of our team, we were able to fix it. 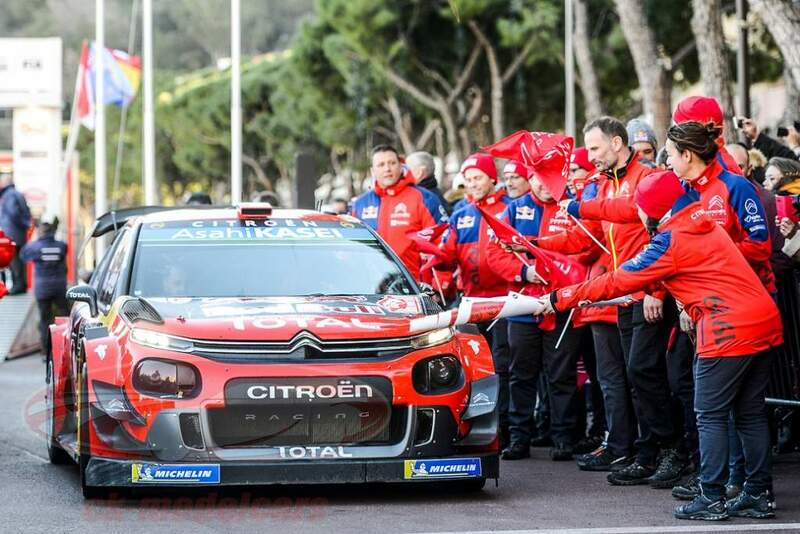 It was a nonstop fight, but we won it, and of course we are very proud of this success in our first ever Citroën C3 WRC campaign, and now we can celebrate Citroën's 100th birthday with style!" 1. S. Ogier/J. Ingrassia, Citroën C3 WRC, 3:21.15,9 h.
2. T. Neuville/N. Gilsoul, Hyundai i20 Coupe WRC, +2,2 sec.